Menu planning is not my forte. I mean, I try. I really do make an honest attempt. I scan my grocery store’s ad, looking for sales, think up a few meals based on those items, look through the fridge and pantry to see what we need, and make a list. And… that lasts for about a week before I find myself asking “What should I make for dinner?” a half-hour before dinnertime. Sigh. 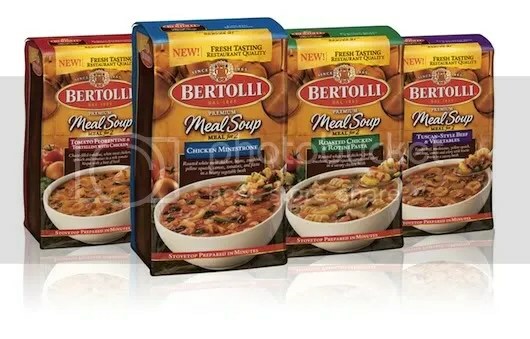 Bertolli, the brand known for their variety of pasta sauces, frozen meals and olive oils, recently issued a challenge to a group of bloggers – choose one of their great new soup options and create a special weeknight dinner for my family. Sounds easy enough, right? The catch – I only had one hour to do so. Available in four varieties: Chicken Minestrone, Roasted Chicken & Rotini Pasta, Tomato Florentine & Tortellini with Chicken, and Tuscan-Style Beef with Vegetables, the hardest part of all this was probably picking out which soup we’d try first! I have a soft spot for tomato soup, so we went with that. Plus, the other 3 varieties are chock-full of veggies, which to most people would be a great thing, but I know my kids. I try to involve my girls in the cooking process as much as possible. I’d like to think they’re more likely to eat what they help prepare, but that’s not always the case. Sometimes they just want to have fun and make a big mess, and that’s okay, too. It’s the ultimate learning experience… fractions, chemistry, taking turns, food safety, not to mention the fact that cooking is a valuable life skill! I even give them each their own list when we go to the grocery store – 2-3 items that they’re in charge of finding, kind of like a scavenger hunt. To keep the girls busy, I decided to have them make some ginger cookies. They scooped, measured, and stirred the ingredients while I sliced and diced ingredients for a salad nearby. I spooned the batter into a big plastic bag so they could pipe it onto parchment-lined cookie sheets in little lines. They thought this was cool (and strange), not knowing that there was a method to this madness. 😉 I gave them each a handful of dried cranberries and sliced almonds (which I happened to be sprinkling on the salad) so they could decorate their cookies. Listening to my 1st-grader teach her little sis about patterns made me so proud! I set the oven timer for 10 minutes. While the cookies were baking, it was time to make the soup! 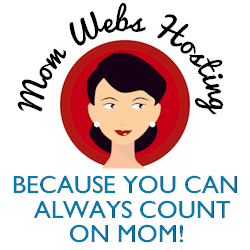 While I was going to make dinner for my husband and the girls, after that they were on their own! Bertolli Premium Meal Soups are meant to serve two adults, but in my case, it was just enough for one adult and two kids. Perfect. I chose this particular night to make this meal because I was on a tight schedule, since I was hosting a babysitting co-op meeting later that evening which I had to prepare for. The fact that I could potentially have a great meal on the table in less than 30 minutes with little to no planning? Priceless. Preparation consists of adding a cup of water, bringing the soup to a boil, and then back down to a simmer for 5 minutes, stirring every now and then. The soup was ready before the cookies. 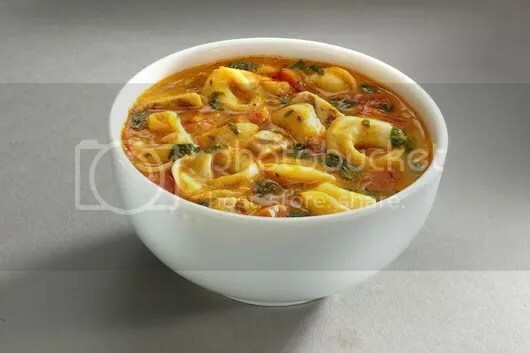 Tomato Florentine & Tortellini with Chicken is composed of cheese-filled tortellini, white meat chicken, spinach and tomatoes in a rich tomato bisque with just a hint of basil. And let me tell you… it is DELICIOUS! I was the first one to have a taste. The flavors are just right; I didn’t need to add any extra seasonings. The texture is lovely; rich and creamy, but somehow delicate at the same time. I had Maya and Maura set the table while the soup cooled a bit. They put their festive Valentine’s place mats out, all the silverware they could possibly need, and special (plastic) goblets. Daddy just got a big spoon. LOL. Where’s the love? The verdict from my girls? Mmmmmmmm! I couldn’t even get a word out of them, not with them talking without their mouths full, anyway. I toasted some wheat bread and cut it into sticks so that they could dunk it in their soup. Kids love dipping things. My husband said that he would’ve sworn the soup was homemade if I hadn’t told him otherwise. Aww! That’s nice that he thinks that I can possibly cook that well. I was thinking it tasted more like a restaurant-quality meal, but I guess I just don’t have enough confidence in my cooking. This is when I kissed the girls goodnight, and slipped out quietly. Mommy confession: I lied and told them my meeting was a half hour earlier than it actually was, just so I could go for a quick run beforehand. I needed that “me” time desperately. I did leave a little treat for them in the freezer, going along with the same dipping theme. From what I was told the next day, they loved it.